It has made me so sad to see social media shown in such a negative light. I follow many amazing people who share their lives, the up and downs and who offer words of encouragement and positivity. I have created a space where I know I can go and leave feeling better and ready to take on the world. I know that not everyone is going to make you feel good, especially on the internet. If that is the case DO NOT follow them. I have unfollowed so many people who have made me feel negative emotions and I know that is why I appreciate the space I have now. Most of the time it has been more about me than the person I unfollow. I will see things they have posted and mean thoughts pop into my head. When that happens I stop and reflect about why I feel that way and try to decipher where that emotion comes from. Most of the time it's because I am not in a good place. I am upset that I am not skinny, rich or have the career I want. It's not their fault they hit a sensitive nerve but I will unfollow them because I know that is what I need. If I really love them I usually go back to following them once I have overcome my difficult time. 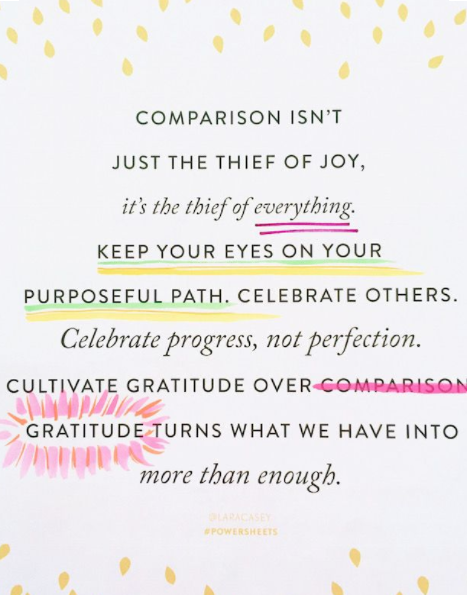 I am sure that you have heard the phrase "comparison is the thief of joy"
I love that quote but recently discovered this one that went into a little more detail. Comparison is thief of EVERYTHING! 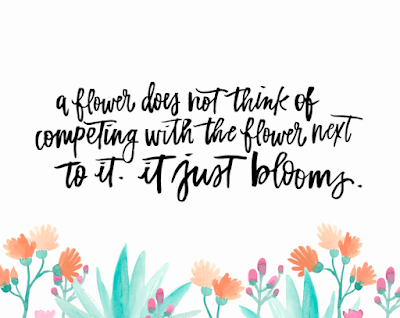 I think that is so true and I hate the power we give other people when we compare ourselves to them. 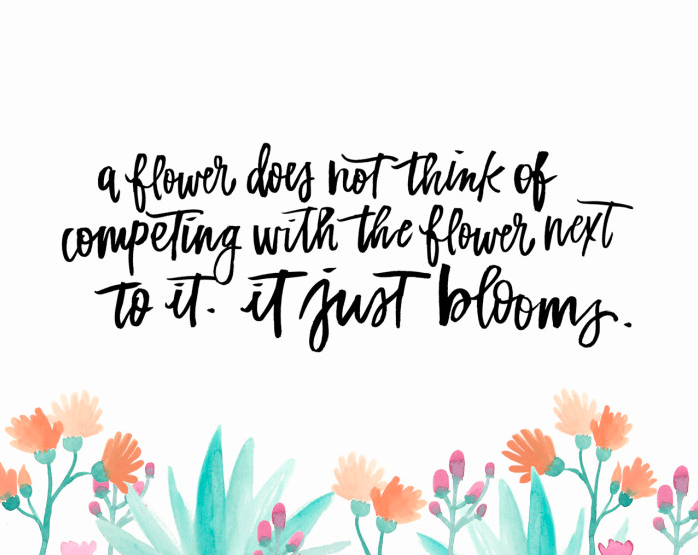 This might take some training, I am still working on it, but it is honestly the best feeling when you feel genuinely happy for someone else's accomplishments. Right before the big Social Media controversy hit I noticed comparison came up in several of my daily conversations. Do you ever compare yourself to your sisters and feel bad? No! I have three amazing sisters who have great lives. They have spacious houses, beautiful healthy children but guess what? You follow a lot of successful people on Instagram does it make you feel unworthy? Nah! I love following people who chased their dreams and succeeded. It encourages me to continue to chase mine. Social Media can be consuming. I know several people who are OBSESSED with following people they hate to see what is going on in their lives. I have been guilty of this too! Your emotions are controlled by that person. They had a bad day? They had a good day? Why can't I have a good day?! You do not need that negativity in your life. Do not give that person power over you. You are in charge of what you surround yourself with. Kick the negative nasties to the curb.